Total Score: 9.08 + Editor's Choice Award! Introduction: Built to tackle some of the most respected big game on the planet we pulled the SLT30 off tuna duty to see just how well this reel would cope with the recent Humboldt Squid invasion off the California coast. With plenty of features and custom machining these reels are engineered to take on just about any big game...including giant squid. Impressions: Wow! ...was the first word I voiced upon removing the SLT30 from the box. This hefty reel screams refinement from every angle. Unmistakable as a Daiwa product the reel proudly bears perhaps the biggest Daiwa logo ever found on a reel, covering more than half of the left sideplate. The reel feels solid and yet cultured with a completely machined frame and spool. 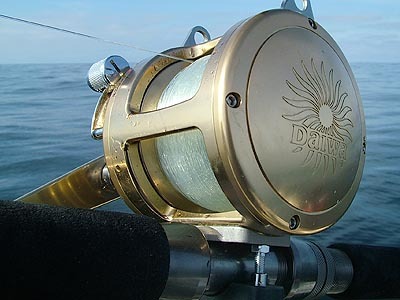 No expense in metal was spared on the construction of this reel, even the aluminum handle is rounded for comfort and machined for weight reduction. 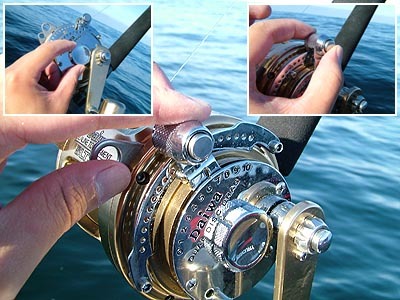 Every knob and lever on this reel features a micro-click adjustment for precision feel. Best of all Daiwa tunes these reels with built in enhancements like spool sleeving to give these reels superior custom performance right out of the box. Materials: Big game graphite reels reinforced with steel are plenty durable, but still don't match up with the flex free confidence afforded by a completely machined aluminum reel. The Daiwa SLT30 features a unitized, one piece machined aluminum frame, sideplates, and spool. 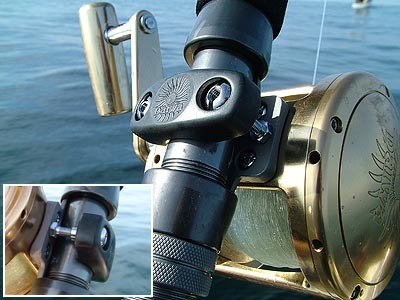 The reel screams quality with fine details like a micro-click drag adjustment, CRBB extra corrosion resistant bearings, and even a machined oversized comfort contoured aluminum handle knob. The reel is completely aluminum and weighs in at 55oz, which falls in between the lighter Tiagra Ti30 (48oz.) and the slightly heavier Penn 30S (56oz.). Spooling up: The SLT30 boasts a greater line capacity than both the Shimano and Penn reels with 30lbs/780yds versus 30lbs/700yds. While you can go ahead and line the reel up with straight mono we think it is a good idea to put on at least 500yds of Spectra and then top shot it with a mono of your choice. What this essentially does is allow you to use the reel for a greater variety of fish, making it possible to change out between 200-300 yds of mono between trips rather than the full 780. In addition because spectra based superlines are so thin in diameter you will benefit from much increased line capacity. This was of great importance to us because hooking into the first Humboldt Squid 20 miles of our coast often required reels capable of holding 1000-1200 feet of line. 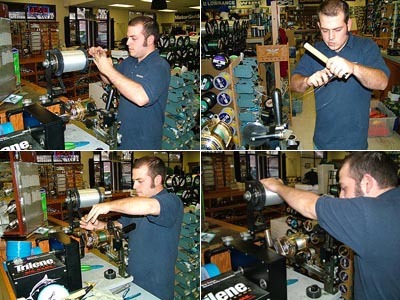 We also recommend taking the reel to a quality shop to get it spooled rather than doing it yourself. By going to a shop you will only need to pay for the line you use, and will get the tightest line pack possible when spooled with a superior machine. A machine with 2hp or greater should be used when tightly spooling big game reels like the SLT30, and it certainly helps when you have an experienced operator winding your reel. The Field Test: We were afforded a unique opportunity to test big game tackle this month. 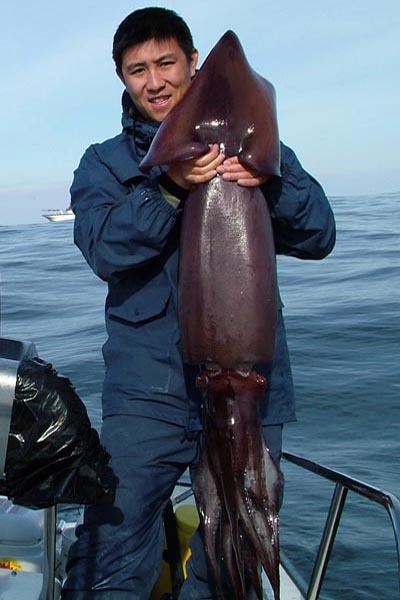 While Humboldt squid appear 20 miles of our coast every year, they rarely do so in the numbers that they have this year. These bruiser squid are not your run of the mil cephalopod with most weighing in the excess of 20lbs, and some up to 80lbs. We needed a reel that was capable of reaching 1000 foot depths, with drags capable of putting the brakes on these massive squid, and the sheer muscle to heft one of these up from the depths. So we pulled the Sealine SLT30 off its regular Tuna duty and prepared it for some serious squidding. Casting/Trolling: Odds are you wont be doing much casting with the SLT30, but you will be doing a lot of live lining and trolling. Before heading out make sure to make use of the included reel clamp, the last thing you want is to have your reel pop loose during the strike. To release the line you pull the drag strike lever all the way back. The SLT30 features a clicker that serves the dual function of emitting a loud warning noise when fish strike and preventing the spool from easy overruns when the SLT30 is set in freespool. 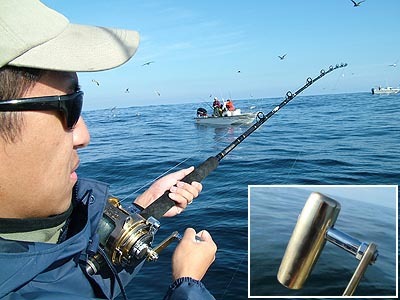 You will make most of use of this feature when trolling plugs and the rod is set down in a rod holder. Unlike many other reels that use a small round switch on the left sideplate, the SLT30's implementation is an ergonomic flip up switch directly below the drag lever, which is among the easiest to disengage during the fight. Retrieving: The first squid we hooked into was among the biggest of the day, and I just didn't know exactly what to expect. My eyes widened as my Seeker rod arced over in true Tuna-like fashion, and the squid started stripping line off the reel. In high gear I was able to slowly move the squid, but only in short bursts as it propelled deeper between cranks. I pushed the button on the side of the handle and depressed the lever into low gear (1.8:1) hoping for more raw winching power. Sure enough I was now able to crank away at the immense squirt, and maintain a much more even and constant pressure as I towed it in. While I was initially shocked by how much pulling power these big squid had, I was overjoyed that I was using a quality two-speed reel for this bout. With any of my faster single speed reels this skirmish would have turned into an all out battle. The SLT30 is exceptionally smooth, much like the Shimano Tiagra, and noticeably smoother and quieter than the Penn International II. 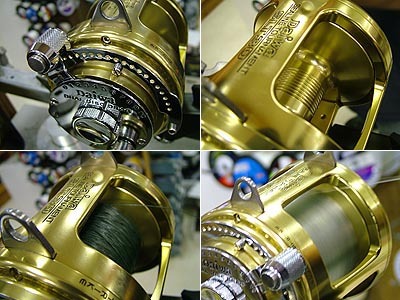 Daiwa went so far as to custom tune each reel with a main shaft bearing stabilizer (sleeved spool) that normally requires costly custom machining with other branded reels. This supertuning prevents excessive side pressure on spool bearings regardless of drag tension. A few Humboldt squid later and I was more than impressed with the SLT30's massive stainless steel gears and easy shifting gearbox. As I became adjusted to squid fishing I began to feel the point at which the squid would begin to tire and shift back into high gear, pulling in over a yard of line with every crank. Power: Quality stainless gearing and a low 1.8:1 gearing gave me the upper hand on these squid. During the field tests I switched to my trusty Penn International single speed 30T which has a 3.5:1 gear ratio to compare the difference, and it was night and day in terms of raw muscle. With the single speed reel you are much more at the mercy of the quarry, and need to really clamp down at times to make a dent, while two speed reels like the SLT30 allow you to close the gap steadily. The SLT30 felt extremely balanced under heavy load, and a lot of it has to do with a dual-point gear shaft support which delivers more winding power and reliability under stress. Whether its Tuna, Squid, or something even bigger, the SLT30 has the power to keep you cranking. Drag: The best thing about lever drag reels is the ability to instantly revert back to a pre-set calibrated drag setting between fish. 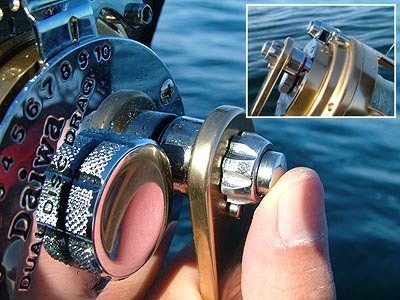 By setting the drag properly anglers prevent line breakage, usually caused by inaccurate drag settings. Before you start fishing with the SLT 30 take the time to calibrate the drag setting with a spring scale. simply rotate the drag knob clockwise to increase tension. A good rule of thumb is to set your drag at 33 percent of your line's breaking strength. For example 50lb test line would have a 17pound pre-set drag, while 80lb test would require a 27lb pre-set tension. Using this as a guideline you can adjust up or down depending on what species you are pursuing. For Humboldt squid we opted for 50lb test with the drag pre-set at 15lbs. The main drag places the reel in free spool when pulled all the way back towards you. Depressing the button on the side of the drag lever will put the reel in freespool when closest to you or will allow you to surpass your pre-set drag setting when advanced towards the "FULL" mark. The SLT30 has extremely robust dual drags and be forewarned that putting the reel in maximum drag tension will put the brakes almost completely on any spool movement, regardless of fish. This drastically increases the chance of line breakage should your big game decide run at just the right moment. During our field tests with the Humboldts numerous 30-40lb squid tested the 15lb drag setting, and towards the end of the trip we set our drag up to 20lbs just to compensate. While these squid are incredibly strong, few could match up with the SLT30's low gear ratio and massive run stopping dual wet drags. The secret to the massive braking power is in Daiwa's DSG505 system which is able to apply pressure to both sides of the brake rotor, thus offering 50% more total drag surface for smooth fade free performance. At the end of the trip we made sure to back the pre-set and main drag down to zero setting to allow the drag washers to expand and recover form the stress of a long day spent squidding. Durability/Maintenance: The SLT is about as refined as big game reels come, and while the reel is a smooth operator it also manages to balance noteworthy civility with exceptional permanence. When we examined the details we could see that the SLT 30 is really built to take on some of the biggest game blue water has to offer. Daiwa's CRBB bearings are corrosion resistant and the entire reel is multi-electrostatic anodized for maximum protection from the offshore elements. 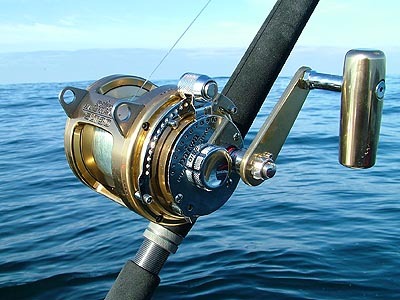 After each offshore trip make sure to remove the reel from your rod and wipe down any saltwater residue with a moist cloth. Only after a complete season will you need to open the reel and wipe away any grit from the inside and grease the gearing, clutch system, spool shaft ends, and handle knob shafts with the light grade reel grease that Daiwa provides. As a final precaution you can also mist out-reel metal surfaces with a water displacing spray such as WD-40 and wipe off any excess residue. In the off-season you can store the SLT30 in the soft protective cloth Daiwa reel bag provided. Price: Big game reels are not cheap, but compared to the competitions machined aluminum 2-speed reels the Daiwa SLT30 is a surprisingly good deal. While we thought anglers would have to pay a premium for some of the advanced features the Sealine Tournament has to offer we were taken aback to discover that it is priced 30 dollars less than a comparable Shimano Tiagra (Ti 30), 30 dollars less than the Penn International II two speed (30S), and a whopping 100 dollars less than the Alutecnos' (SALT3000A) offering. None of which offer a guarantee that stands up to Daiwa's unique 90 day policy. Guarantee/Warranty: Daiwa is so confident that you will love the SLT30 that they back it up with an unprecedented "No Questions Asked" 90 day money back guarantee. You can pit the SLT30 against any fish, or monster squid, that you like and if for any reason you are not completely satisfied you can return the reel directly to Daiwa for 100% of the purchase price. Most reels only come with a 30 day return policy, and many of which are void the minute you actually fish the reel. Daiwa wants you to try the reel out, compare it to the competition, and see just how stellar the Sealine Tournament really is. On top of the 90 day grace period, each SLT comes backed with a warranty in which Daiwa will repair or replace any reel with defects in workmanship or materials for a period of one year post the date of purchase. J A 90 day no questions asked guarantee! Conclusion: Daiwa has done it again. While fighting the good fight in the freshwater market alone is challenge enough, the engineers at Daiwa never cease to amaze us with the level of quality they squeeze into each of their premium saltwater products. 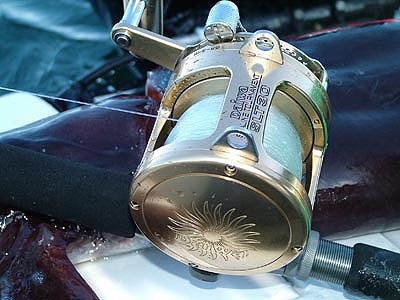 The Sealine Tournament SLT30 is without a doubt a quality flagship saltwater reel. Capable of handling monster sized Humboldt Squid, hard hitting Tuna, and just about anything you care to throw at it. While raw brute power and reliability is paramount, Daiwa engineered a very admirable level of refinement into this reel. The SLT30 possesses among the smoothest retrieves ever found on a big game reel, and the fit and finish of the entire frame, sideplates, and spool are brilliant. If robust features, detailed design, and top notch materials wasn't enough, Daiwa's amazing 90 day no questions asked guarantee is the clincher, ensuring that anglers really get to try the reel and see just how good it is before they commit. The Daiwa SLT30 is a reel that offshore anglers can depend on when a trophy is on the line. It seems like lately Daiwa has been cleaning up on the awards, and Daiwa can be proud to add yet another one to their growing list.